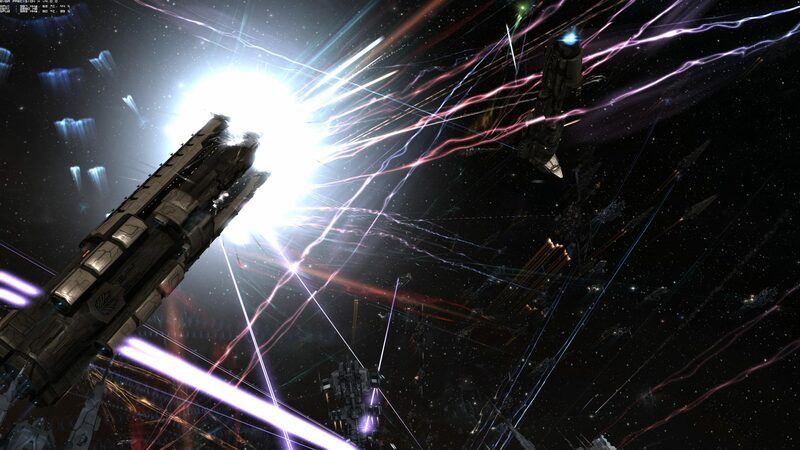 Massive EVE Battle causes results in over £125,000 of property lost! EVE is one of the few MMOs that really does have a convincing, living breathing virtual world (or galaxies in this case), packed with political wrangling, intrigue, wars, revenge, deviousness and general backstabbing. It’s usually one of those things that starts off a massive rumble in the EVE universe, but not this time… This time, it was something far more simple… A missed bill payment. Basically, the N3 Coalition forgot to make a payment on a space station they owned. Missing the payment resulted in the loss of sovereignty over the system, which left the station (and the system) vulnerable. This resulted in rival factions CFC and Russian Coalition swooping in and taking the station… Whilst this wasn’t good news for N3, it was worse news for Pandemic Legion, who were using the station to store a lot of their assets… CFC and PL have history, so what resulted from this invasion was the mother of all battles, as 70 Titan class ships worth around £1800 each (in real money – converted from EVE’s in-game currency ISK) have already been blown to bits as N3PL and CFCRUS throw down. There’s a great gallery of the battle here. ← Death Star Cruises Anyone?